Up to now, drones have been little more than toys and camera platforms, promising much but delivering little. 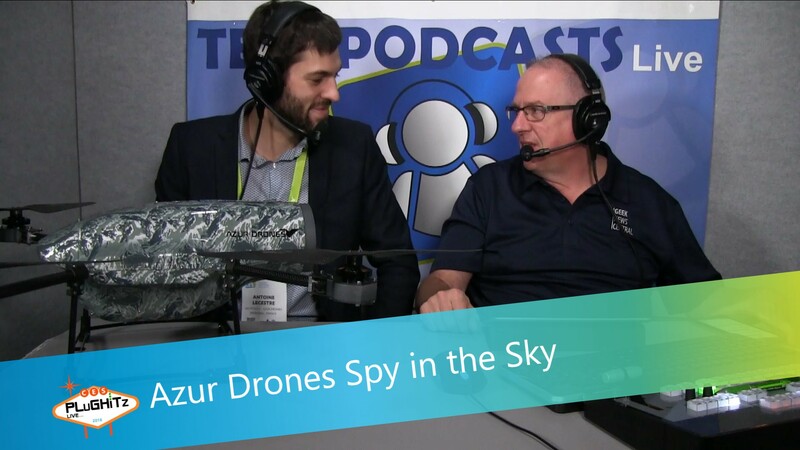 Working with Directorate General for Civil Aviation, Azure Drones' Skeyetech provides "100% autonomous and 24/7 operational drones" as a "security drone solution." Antoine and Todd talk about the new security guard. A market leader in France, Azur Drones has developed an airborne surveillance system for the remote monitoring of industrial properties. 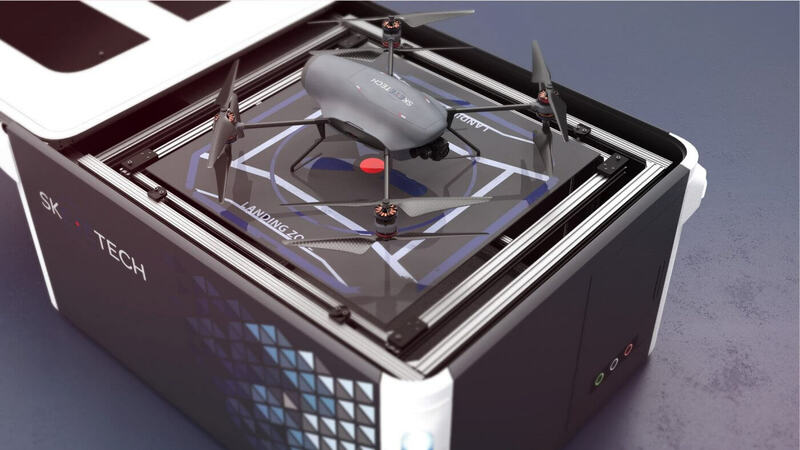 The system, called Skeyetech, is composed of a smart drone equipped with HD and thermal cameras, and a smart (weather) station which recharges the drones, monitors the weather and provides protection for the craft. Skeyetech drones can be programmed and undertake automated flights, before accurately landing on their docking stations to be recharged. The docking stations aren't just power outlets, but relay instructions and information from the drones. Consequently, the drones can be controlled remotely making them capable of operating 24 hours a day, 7 days a week, without any human intervention. It comes at a fraction of the cost of traditional video surveillance. Technically, the drones can fly for 35 minutes before needing recharged for 30 minutes. Top speed is 50 mph and they're waterproof to IP56. The drones can be configured to patrol premises on a regular basis, or respond to alerts generated by motion sensors. This isn't the kind of drone found on the shelves of Best Buy or Fry's. Interested parties will need upwards of $100,000.